If you’re looking for a generator that is expertly manufactured, reliable and ready to buy for an unbeatable price, you have come to the right place – Generator Place. 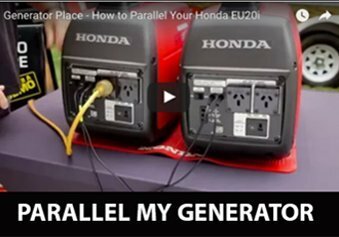 Whether you need a generator for camping, your caravan, for home backup or to use on a work site, our range of Honda generators are up to the task. With an extensive range for sale, a ‘best price guarantee’ on all products we stock and specialised knowledge so you can get advice whenever you need it, Generator Place is the place to be for all your generator needs. 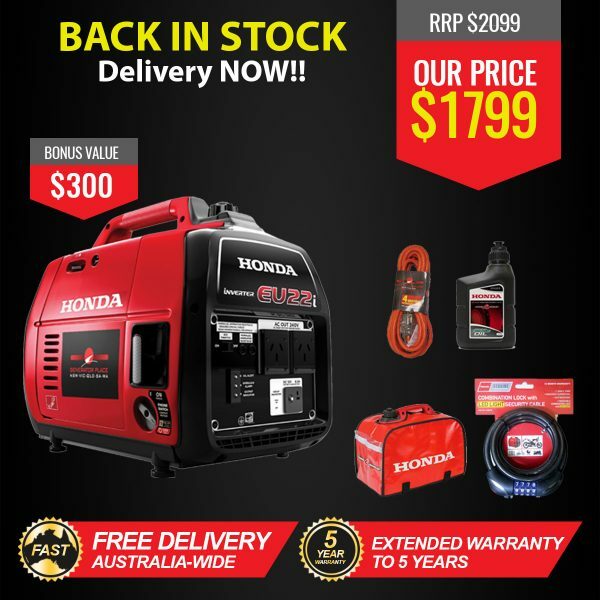 Along with generators, we also stock jump starters from leading brands and as always, each of these products also includes our best price guarantee and is manufactured to the highest quality. 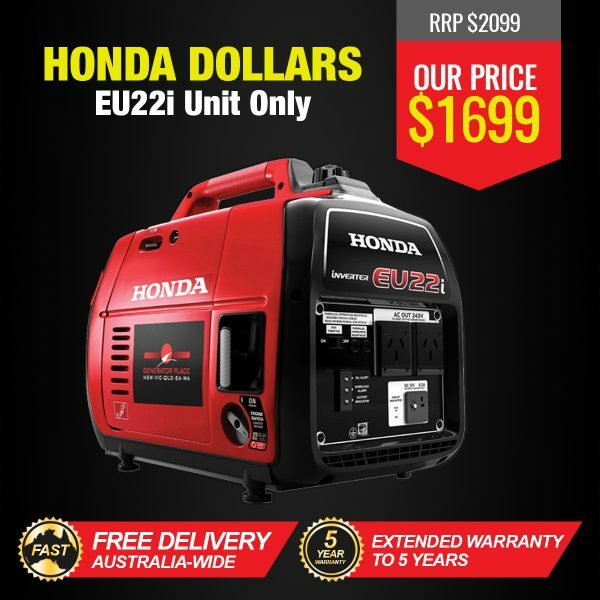 As Australia’s number 1 Honda dealer since 2005, you can depend on us to give you the right advice and provide you with the most reliable range of generators on the market. If you are looking for a comprehensive guide on Honda generators, grab a free, full-colour Honda generators brochure from us. Check out our Email Brochure page and fill in your details to get a copy. Once you have filled in our form, we’ll send the brochure directly to your inbox! 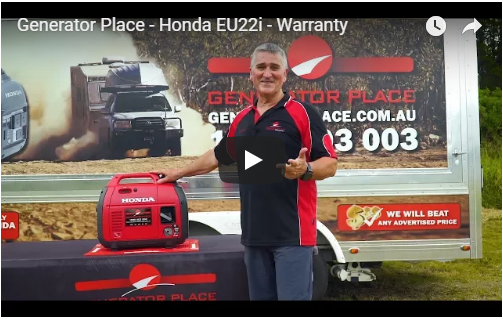 Generator Place is the largest retailer of Honda generators in Australia. We opened the doors to our first store in Brisbane in February 2005 and our business continues to grow to this day. 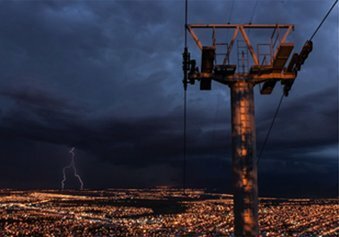 Thanks to the growing demand for our products and services, Generator Place has expanded significantly with outlets now open right across the country. By specialising in generators and becoming a source of knowledge and advice in the field, customers return to us time and time again for our superior service and range of reliable generators. We strive to deliver the best value for you, which is why we offer a ‘best price guarantee’ on all of our products. You will always find exceptional deals at prices you can’t resist because we always aim to provide our customers with unbeatable value for money. We understand that generators are a big investment to make and you need a unit that will stand the test of time and work superbly. 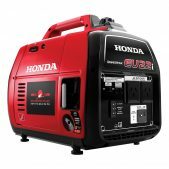 That is why at Generator Place we only stock high-quality generators from the reputable and highly regarded Honda brand. 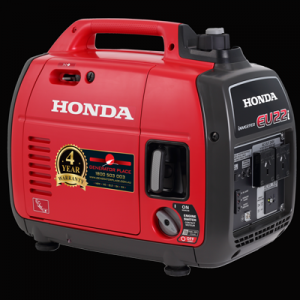 We stand behind the resilience and longevity of Honda generators and you can trust that every generator you purchase from us will exceed your expectations. We know generators. As experts in the field, you can always turn to us for advice. If there is anything you need to know about generators or any of the products we stock, we can help you out and point you in the right direction. 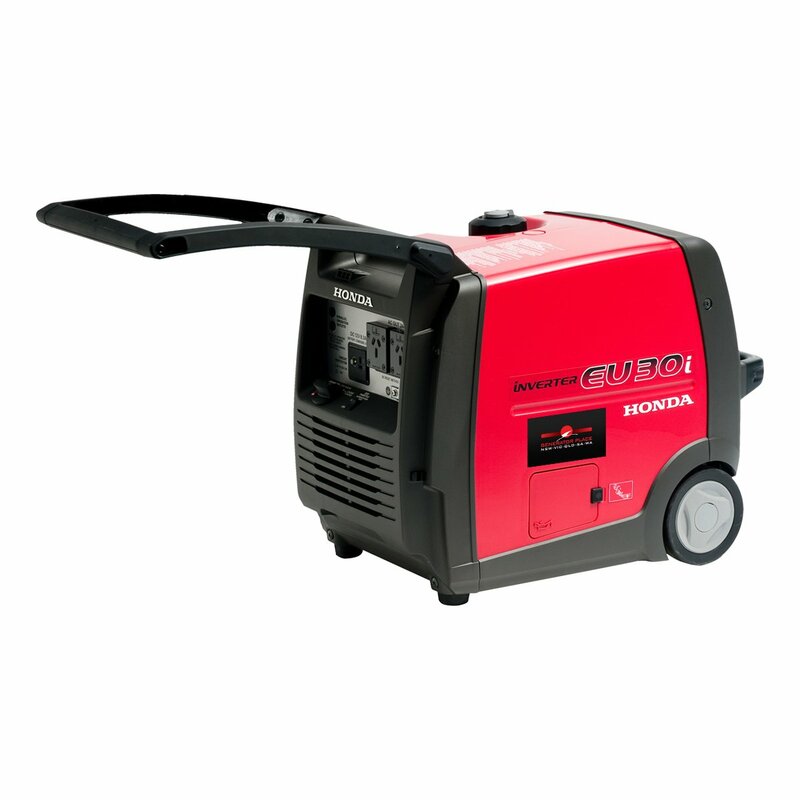 We sell generators and products that suit a range of personal and industrial purposes. From camping generators and industrial generators to jump starters, everything you need for your camping trip, vehicle battery or construction site work is right here. With several industrial generators to choose from, you are sure to find the size you need in this Honda range. Designed specifically for construction sites with a tough and rugged build, each model holds a unique set of features and benefits, so please read the specifications and give us a call if you need any more advice on making the right choice. View Industrial Generators. When it comes to super quiet generators, we’ve got you covered. We have five options to choose from if limiting noise is important to you. The most popular generator in the market is the handy and compact EU22i – packed full of features and the ideal generator for family getaways. View Quiet and Compact Generators. Looking for amazing package deals? By combining one of our popular generator models with a number of accessories, we’ll throw in extras like an extended 5 year warranty and free delivery on top of the fantastic prices we offer. View Package Deals. Jumpstart your car with ease thanks to the innovative Jumps Power Units we stock. Ultra-portable and lightweight, you can jumpstart everything from cars and motorbikes to boats and jet skis. Available in two sizes for small and large vehicles, this is the easiest and most convenient way possible to jumpstart your car. View Jump Starters. 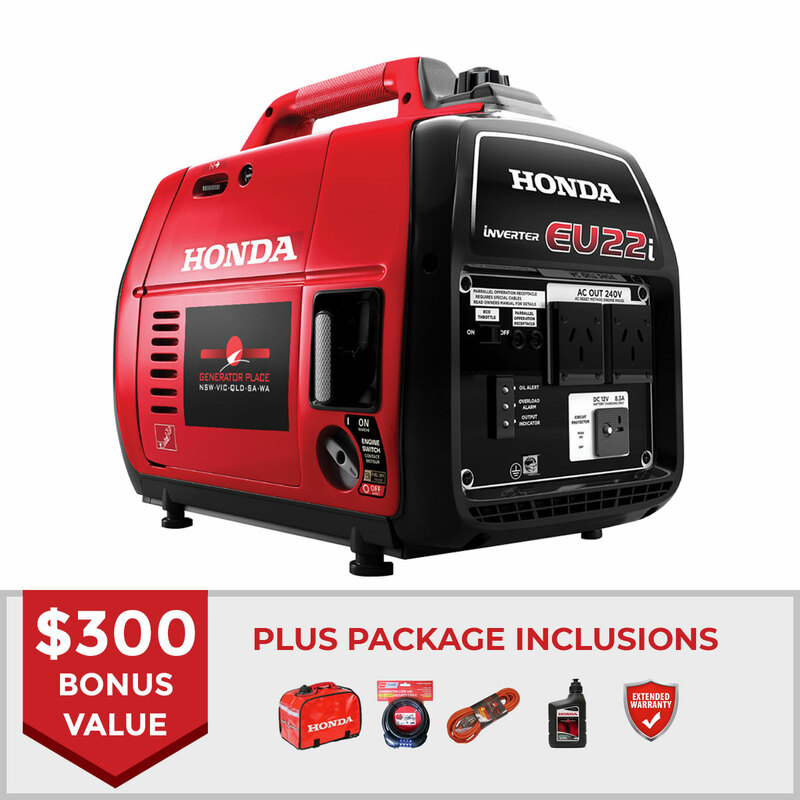 Service and maintain your EU22i Honda generator with basic and full Service Kits. Each of our kits are packed by us and include all the essentials you need. 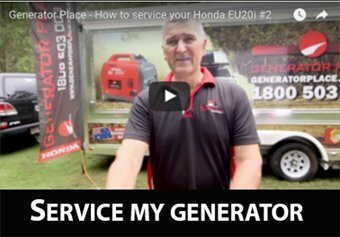 See our How to Service your Generator video for a comprehensive guide on how to keep your generator running at its best. View Service Kits. 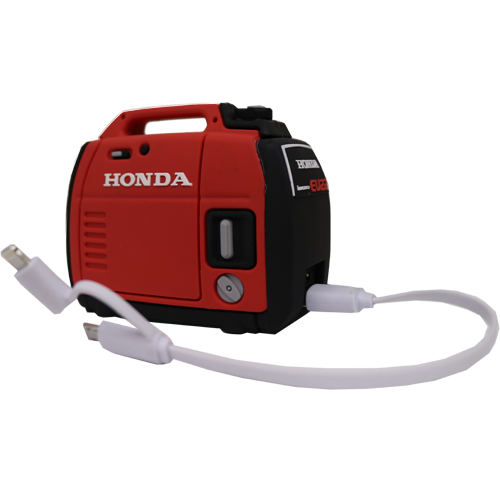 To get the most out of your new Honda generator, consider purchasing a few of our accessories specifically suited to our Honda range. We have parallel leads, security cables, extension leads, vinyl dust covers and generator mats. View Accessories. As generator specialists, we know a lot about generators. We want to share all of our knowledge with you so that you are completely informed when deciding on the right unit to buy. Visit our How to Choose Generators page to learn how to pick the best option for your needs. We also share useful information about how to correctly and safely operate generators on our Generators Operation page. We even have videos that provide you with helpful hints, directions and advice about using and servicing your generator via our Helpful Hints Videos page. At Generator Place, we are all about offering expert advice to our customers on every item we stock. If you are unable to find the information you are looking for on our website, our team are always happy to help and can be contacted over the phone, 365 days a year, on 1800 442 447. Our team have comprehensive knowledge about every generator and product we stock. Whatever your application may be or whatever problem you are having, we are more than happy to pass our knowledge onto you. 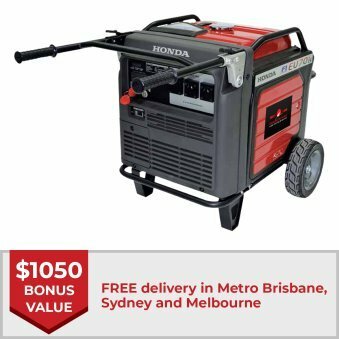 Win a Honda EU22i Generator! 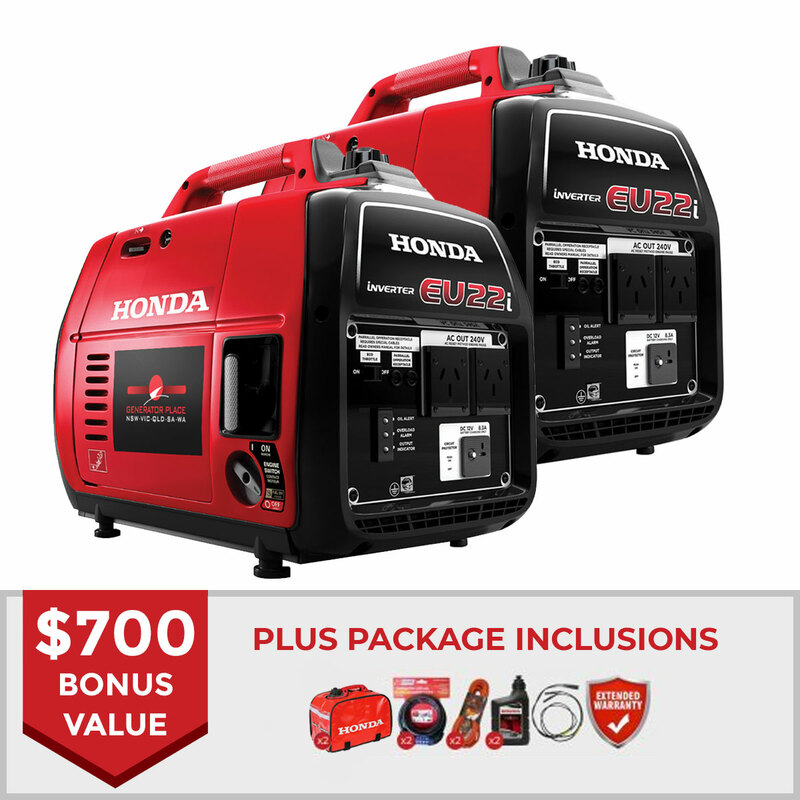 The only thing better than having a brand new Honda generator is winning a free Honda generator! 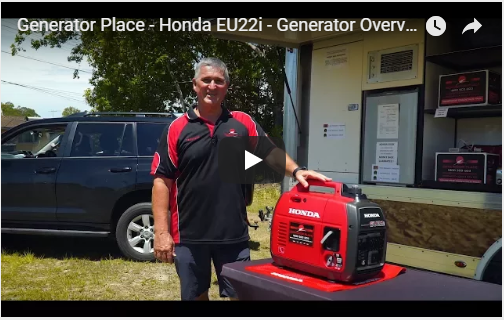 Don’t miss your chance to win a EU22i Generator from Generator Place. All you have to do is fill in a few simple details on our Competitions page and you will instantly be in the draw to win! Need finance for your generator purchase? We can help arrange that for you. You can apply for a 24-month interest-free finance application to buy all models we have available. Whether you wish to make a single or joint finance application, visit our Finance Offers page to fill in our online application form. Find generators for sale at the right price here at Generator Place. Ordering online with us is so easy! Just click on the items you wish to buy, add them to your shopping bag and head to the checkout to pay for your purchase. 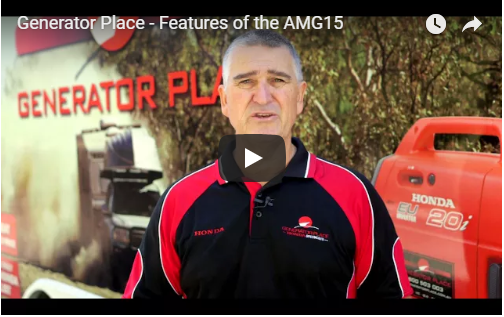 Your order will be dispatched ASAP and delivered to any location Australia-wide. Alternatively, you can also visit us in-store and speak with our expert sales staff in person. Have any questions? Send us a message via our Contact us page or give us a call on 1800 442 447. 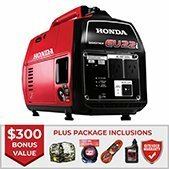 However you choose to make a purchase with us, you can trust that you will always find amazing deals on Honda generator here at Generator Place.